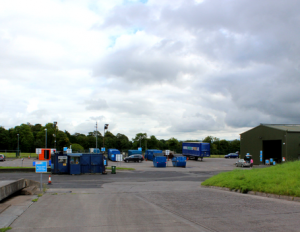 We want to help you manage your waste responsibly by offering more recycling choices in the four civic amenities we operate across counties Kildare and Laois. These recycling centres and civic amenities are an ideal solution for house clear-outs or items that can’t go into your wheelie bin, like old paint cans or items that are simply too large such as a mattress or fridge. Each facility accepts a range of waste materials for recovery. Learn more about what each facility accepts and costs in the sections below.